With the 2012 Olympic Games in London starting today, are you looking for a way to stay on top of the International competitive action, and involve your kids in the process? Here are our suggestions for apps that you can download to maximize your Olympic experience even if you’re not in London enjoying the games live in person. 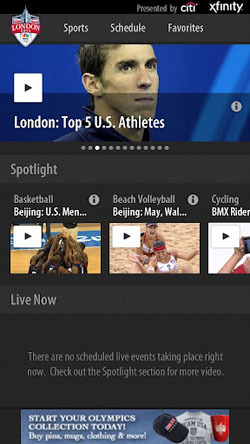 Just one of the apps from NBC to complement their official Olympic coverage, this could be something that you’re glued to for the next couple of weeks. With video on demand, live event coverage and replays, even alternate camera views for certain events, this should be a great app to check out despite some poor initial ratings. We found the app loaded quickly, and the video was crystal clear. This app is free, however, cord cutters beware, you need to validate that you’re a current cable or dish subscriber. 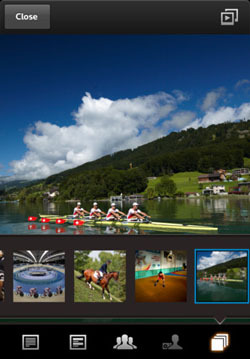 A beautifully designed app that showcases some amazing photography from the Olympic Games, the Reuters app encapsulates the day’s events in pictures with links to news stories, reference materials which include schedules and the medal tally. 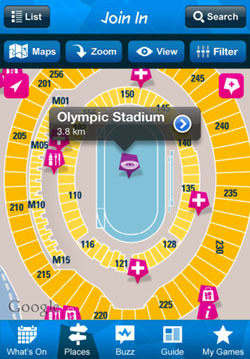 If you happen to be in London for the games, or want to feel like you are, this app is a great resource to finding events (even free events), watching the Torch Relay, and navigate London for the games, including a full spectator guide that includes venue maps, details of each facility, and even augmented reality to get more out of your experience. This simplistic but streamlined app helps you to find and receive reminders of upcoming events, and read news. If you have events that you’re looking to follow, you can pin your favorites to your homescreen. Get real-time scores across 26 sports at the Olympics, check the medal tally page, view event schedules and chat with fiends on PlayUp, a social sports app. 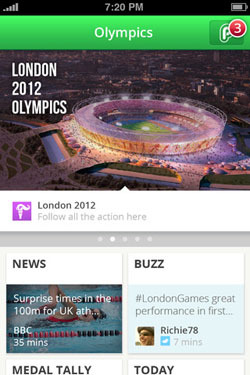 You’ll also find news about top athletes and events. Great apps, thanks! Another one from NBC is NBC Olympics. 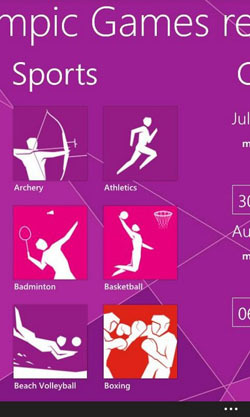 It’s going to be a totally different Olympic experience watching through the power of apps. Can’t wait! I haven’t tried any, but have been hearing some differing accounts as to the App’s quality. I don’t have a bunch of time for the extras, but for real, actual coverage of the events I rely on my Dish Remote Access app. It’s free, and actually lets you take ALL your channels and DVR with you. I use it on my iPad, but it works on all kinds of devices. A Dish coworker got me interested in the streaming, and now that I have it I’m watching more Olympics than ever.